SPOOKY TOOTH-THE ISLAND RECORDS YEARS. All too often, some bands don’t get the credit they deserve. That was the case with Spooky Tooth, who for a time, pioneered the use of twin keyboards. They lead the way. Soon, other bands were following in their wake. By then, the Spooky Tooth story was over. Spooky Tooth were only together seven years between 1967 and 1974, but managed to release eight seven albums. They could’ve become one of the biggest British bands of the late-sixties, early-seventies. 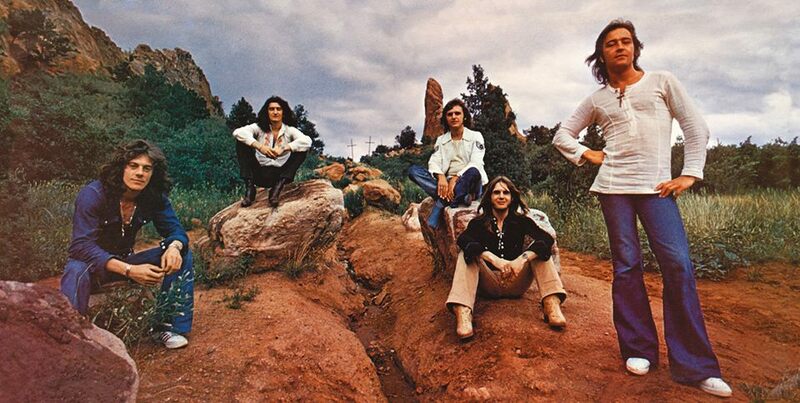 However, Spooky Tooth wandered down a rocky road. That was the case since for a lot longer. 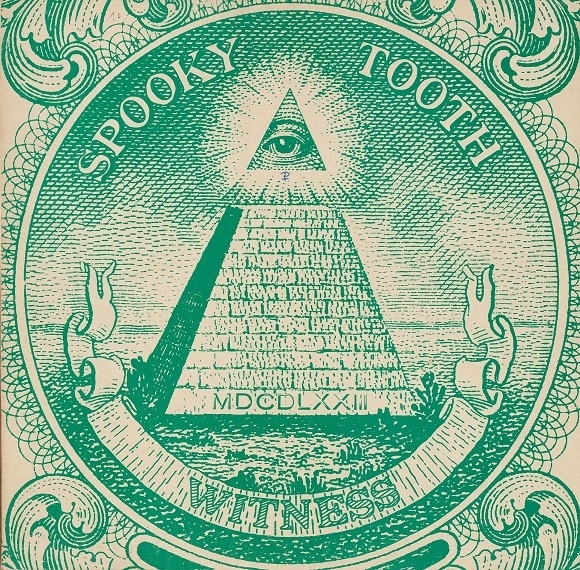 The Spooky Tooth story started in 1963, when The V.I.P.s were founded in Carlisle, Cumbria by lead vocalist Mike Harrison and bassist Greg Ridley. Over the next four years, The V.I.P.s lineup evolved. Rhythm guitarist Frank Kenyon and lead guitarist Jimmy Henshaw were members between 1963 and 1967. Other musicians played a walk-on roll on The V.I.P.s’ story. This included Keith Emerson whose keyboards would play a starring role in The Nice and Emerson, Lake and Palmer. However, by the time The V.I.P.s decided to change direction musically, Keith Emerson had left the band. In 1967, the newly named Art found themselves signed to Chris Blackwell’s Island Records. Art were about to go into the studio with producer Guy Stevens, so began work on their debut album. By then, Art still a quartet. However, only two original members of The V.I.P.s remained. Ironically, they were the founding members, vocalist and keyboardist Mike Harrison and bassist Greg Ridley. They were joined by drummer Mike Kellie and guitarist Luther Grosvenor. The four members of Art got to work on what became Supernatural Fairy Tales. For their debut album Supernatural Fairy Tales, the four members of Art wrote ten tracks. They would be augmented by covers of The Young Rascals’ Come on Up and Buffalo Springfield’s For What It’s Worth. Recording took place at two studios. Pye Studios was where the majority of Supernatural Fairy Tales was recorded. Some recording took place at Olympic Studios. At the two studios, producer Guy Stevens, whose career was in the ascendancy, took charge of production. He guided Art through the maze that’s recording a debut album. The result was Supernatural Fairy Tales, which became a cult classic. When critics heard Supernatural Fairy Tales, the reviews of Art’s debut album were mostly positive. Its progressive, psychedelic rock sound was decidedly on trend. It tapped into a sound that was commercial. Surely, Supernatural Fairy Tales would prove a commercial success? That proved not to be the case. 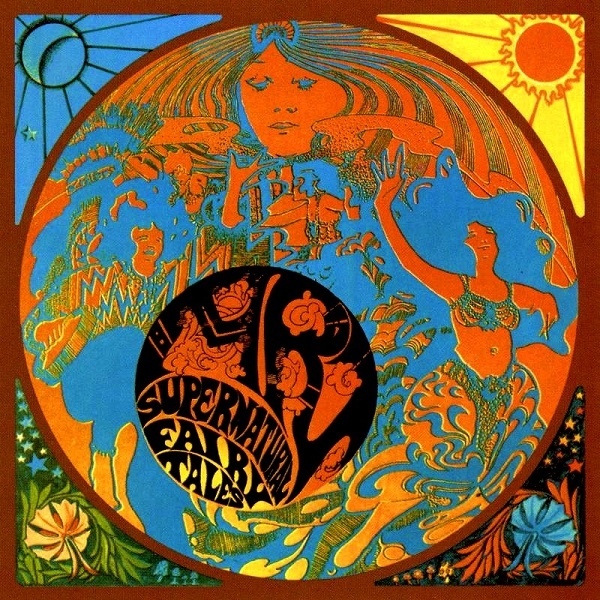 When Supernatural Fairy Tales was released in the Autumn of 1967, the album wasn’t a commercial success. This was disappointing for Art and Island Records. Chris Blackwell wasn’t giving up on Art. Instead, he introduced them to Gary Wright, an American vocalist and organist. Gary Wright was also a psychology student, who had travelled to Berlin to finish his studies. That was where Gary Wright formed the band The New York Times with some American expats and a German bassist. They had opened for Traffic, and were thinking about recording an album. So Gary Wright contacted his old friend Jimmy Miller. The producer was working for Island Records, and suggested that The New York Times hotfoot it to London. When The New York Times arrived in London, the recording sessions didn’t go to plan. The rest of the band split, leaving Gary Wright. It was then, in October 1967, that Gary Wright was introduced to Art. Ironically, Art were just about history. However, a new band were about to be born, Spooky Tooth. Straight away, work began on Spooky Tooth’s debut album. The new recruit quickly made his presence felt. Whereas the four members of Art cowrote most of their debut album Supernatural Fairy Tales, that wasn’t the case with Spooky Tooth. Gary Wright penned Sunshine Help Me and cowrote another six tracks. This included It Hurts You So and Forget It, I Got It with his ole buddy Jimmy Miller. The Wright and Miller partnership weren’t finished. They cowrote Love Really Changed Me with Luther Grosvenor. That trio joined Mike Harrison in penning Here I Lived So We. Luther Grosvenor and Chris Wight also cowrote Bubbles. Spooky Tooth was quickly becoming the Chris Wright show. If the other members felt uncomfortable that Chris Wight was playing a leading role in Spooky Tooth. He was friends with Jimmy Miller, who was chosen to produce It’s All About. He just happened to be friends with Island Records’ owner Chris Blackwell. To onlookers, these relationships looked too cosy. After all, it was Chris Blackwell who introduced Chris Wright. He would join the rest of Spooky Tooth at Olympic Studios. Island Records’ recording sessions were notorious for only allotting a specific amount of time to record an album. Woe betide the band and producer who went over budget. Spooky Tooth had twelve songs to record when they entered the studio in November 1967. This included covers of Janis Ian’s Society’s Child, Bob Dylan’s Too Much Of Nothing and John D. Loudermilk’s Tobacco Road. Along with the songs penned by members of Spooky Tooth, the twelve songs became It’s All About. Before the release of It’s All About in June 1968, critics had their say on Spooky Tooth’s debut album. They were won over by It’s All About. Many critics gave the albums rave reviews. Some critics liked that Spooky Tooth had two different vocalists. This was uncommon. However, with Mike Harrison and Chris Wright sharing the lead vocals, this allowed the band to take their music in a variety of directions. On It’s All About, this included blues, rock and psychedelia. Despite winning over critics, record buyers weren’t convinced. When It’s All About was released in June 1968, the album wasn’t the success many had forecast. This would soon change. Spooky Tooth were about to become one of Europe’s most popular live bands. Then in August 1968, Spooky Tooth were invited to tour America. This was a game-changer. Especially when Spooky Tooth were invited to play at one of the most prestigious venues in America, the Fillmore West in San Francisco. Promoter Bill Graham invited Spooky Tooth to play the Fillmore West. This was a rite of passage for bands touring America. It was a signal they had arrived. Spooky Tooth were going up in the world, so Island Records’ thoughts turned to their sophomore album, Spooky Two. Unlike their debut album, Spooky Two only featured eight songs. Partly, this was why Spooky Too was a leaner, more focused album. Again, Gary Wright who had assumed the role of Spooky Tooth’s songwriter-in-chief. Gary Wright penned four tracks and cowrote three others. This included Feelin’ Bad and I’ve Got Enough Heartaches with drummer Mike Kellie. Mike Harrison and Luther Grosvenor cowrote Waitin’ for the Wind with Gary Wright. Spooky Two’s other track, was a cover of Larry Weiss’ Evil Woman. These songs were recorded at Morgan Studios, London. Just like It’s About You, Spooky Two was produced by Jimmy Miller. 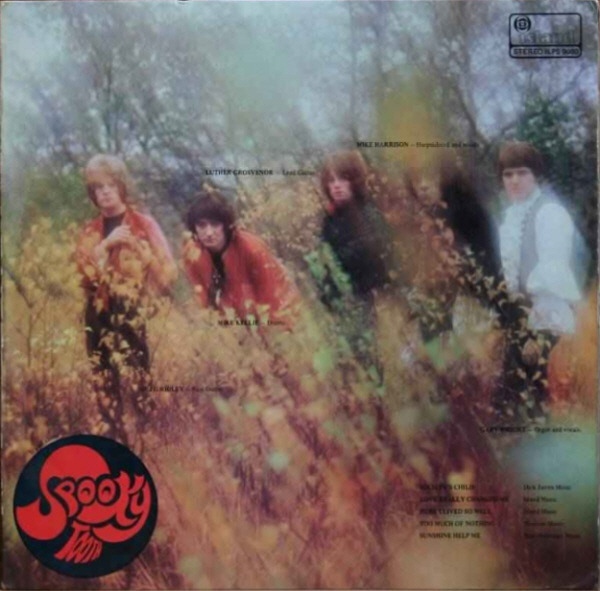 Recording began in November 1968, and Spooky Tooth began recording what’s now considered their greatest album, Spooky Two. Once Spooky Two was complete, the release was scheduled for March 1969. This didn’t leave much time to promote the album. However, the reviews did a good job of this. Spooky Two was hailed a masterpiece of blues, hard rock, psychedelia and classic rock. Luther Grosvenor’s guitar playing was at the heart of the album’s success. It was loose, but fluid. Spooky Tooth’s played hard, raw and rock on Spooky Too. 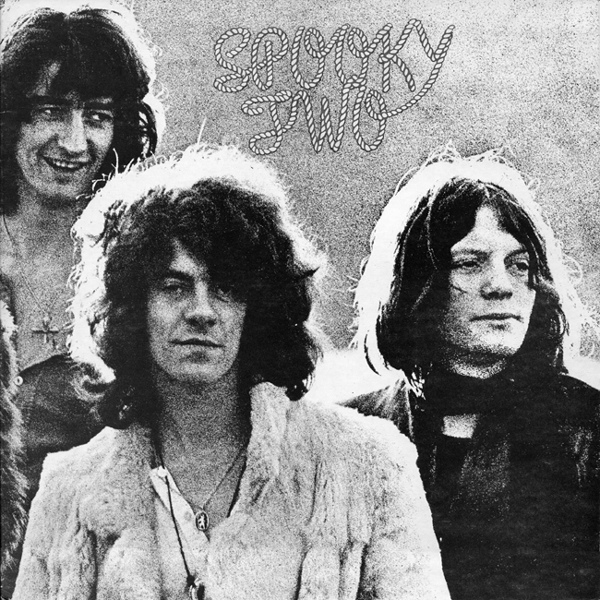 Critics forecast that Spooky Two was going to be Spooky Tooth’s breakthrough album. That proved to be the case. On its release in March 1969, Spooky Two reached number forty-four in the US Billboard 200. This resulted in Spooky Tooth’s profile rising. Suddenly, they were playing in front of bigger audiences on nearly every continent. Other musicians wanted to work with Spooky Tooth. This included French electronic musician, Pierre Henry. After the release of Spooky Too, there was a change to Spooky Tooth’s lineup. 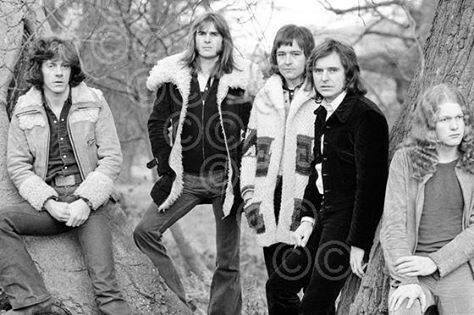 In 1970, bassist Greg Ridley was asked to join Humble Pie. He agreed, and Andy Leigh was drafted in as his replacement. This was the first, but not the last change in Spooky Tooth’s lineup. After the commercial success and critical acclaim of Spooky Too, Spooky Tooth’s star was in the ascendancy. Suddenly, people wanted to work with Spooky Tooth. This included French electronic musician, Pierre Henry. He described himself as a found-object” composer. Pierre Henry took everyday objects and transformed them into an instrument. This wasn’t a new concept. Pablo Picasso had pioneered the idea in 1912, when he pasted aprinted image of chair caning onto his painting Still Life with Chair Caning. Turning everyday objects into musical instruments took the idea further. That’s what Pierre Henry, and many other moderne musicians did. Originally, Spooky Tooth were collaborating with Pierre Henry. It was his album. The new lineup of Spooky Tooth were essentially his backing band, on Ceremony. For Ceremony, Pierre Henry and Gary Wright wrote six tracks. He and the rest of the new lineup of Spooky Tooth made their way to France. It was agreed that Pierre Henry and Spooky Tooth would co-produce Ceremony, due to the fact the album takes the form of a church service. Quickly, Spooky Tooth recorded their parts. This left Pierre Henry to play synths and take charge of electronics on five tracks. On Hosanna, which closed Ceremony, Spooky Tooth took centre-stage. It was Ceremony’s Magnus Opus. Once the recording was complete, Spooky Tooth headed home. Having returned home, Spooky Tooth were sent a copy of Ceremony. Gary Wright didn’t like what he heard. He was straight on the phone to Chris Blackwell, urging him not to release Ceremony. This didn’t work. When Ceremony was released in December 1969, it reached just ninety-two in the US Billboard 200. Spooky Tooth were going backwards. That was only part of the story. All wasn’t well within Spooky Tooth. There was disharmony within the ranks. Mike Kellie believes things would’ve been different if Spooky Tooth: “had independent management.” They could’ve been an arbiter in the conflicts. Without that, Spooky Tooth split-up. That wasn’t the end of the Spooky Tooth story. Instead, it was just the end of a chapter. Mike Harrison, Mike Kellie and Luther Grosvenor remained. Chris Wright exited stage left. So did bassist Andy Leigh. In their place, came some new faces. Among them, were guitarist Henry McCullough, bassist Alan Spenner and Chris Stainton. He played bass, piano and organ. His versatility would be put to good use on The Last Puff, which was billed as an album from Spooky Tooth Featuring Mike Harrison. For The Last Puff, seven cover versions were chosen. Among them were Lennon and McCartney’s I Am The Walrus; Joe Cocker and Peter Nichols’ Something to Say; David Ackles’ Down River and Elton John and Bernie Taupin’s Son of Your Father. New recruit Chris Stainton contributed The Last Puff. Ironically, The Wrong Time a song penned by Gary Wright and Hugh McCracken. Given Gary Wright had just left Spooky Tooth this seemed a strange decision. Recording of The Last Puff took place at Island Studios, London. Producing the album was Island Records’ owner Gary Blackwell and Chris Stainton. Once the new lineup of Spooky Tooth finished recording The Last Puff, it was released in July 1970. 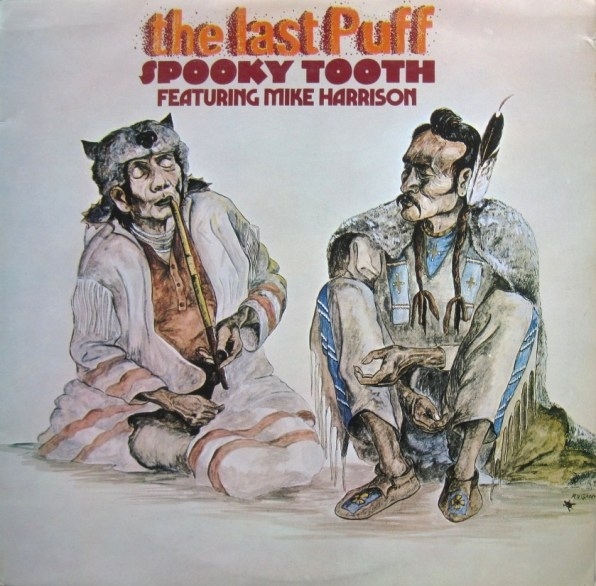 Critics however, received advance copies of Spooky Tooth Featuring Mike Harrison’s album The Last Puff. Critical acclaim accompanied this album of art rock, blues rock, psychedelia and rock. It seemed the loss of two members hadn’t derailed Spooky Tooth. That seemed to be the case. The Last Puff proved more successful than Ceremony, reaching number eighty-four in the US Billboard 200. However, not long after the release of The Last Puff, Spooky Tooth split-up. That looked like the end of the line for Spooky Tooth. Island Records were dismayed. They had just lost one of their most popular groups. So a year later, in 1971, Island Records repackaged and rereleased It’s All About as Tobacco Road. When the album was released, it reached number 152 in the US Billboard 200. That many people thought, was Spooky Tooth’s swan-song. It wasn’t. You Broke My Heart So I Busted Your Jaw. In 1972, Spooky Tooth reformed, with a new lineup. The only musician who had played on The Last Puff was Mike Harrison. Luther Grosvenor had joined Mott The Hoople, where he dawned the alias Ariel Bender. His replacement in Spooky Tooth, was future Foreigner guitarist Mick Jones. Mike Kellie was replaced by drummer and percussionist Bryson Graham. Chris Stewart became Spooky Tooth’s fourth bassist. However, the biggest surprise, was the return of Gary Wright. Quickly, Gary Wright resumed the role of Spooky Tooth’s songwriter-in-chief. He wrote six of the eight songs, and cowrote Times Have Changed with Mick Jones. The other song on You Broke My Heart So I Busted Your Jaw was the Bryson Graham composition This Time Around. These eight songs were recorded at three London studios. Recording of You Broke My Heart So I Busted Your Jaw. Olympic Studios, Island Studios and Apple Studios. It seemed no expense was being spared for Spooky Tooth’s comeback album. These were some of London’s top studios. One expense that was saved was a producer. 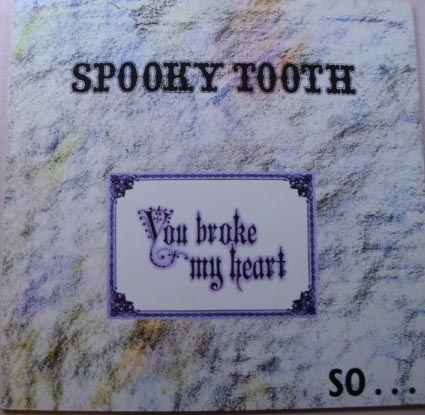 Spooky Tooth produced You Broke My Heart So I Busted Your Jaw. It was scheduled for release in ay 1973. Many of Spooky Tooth’s fans eagerly awaited their comeback album. However, when reviews were published, they were mixed. Some critics felt that You Broke My Heart So I Busted Your Jaw wasn’t Spooky Tooth’s finest hour. That’s despite Spooky Tooth combining progressive rock, hard rock and blues rock. While hard rock was still popular, progressive rock dominated the charts. However, other critics were won over by Spooky Tooth’s comeback album. Other critics liked the dual keyboard sound on You Broke My Heart So I Busted Your Jaw. This brought a new dimension to Spooky Tooth’s sound. There was no consensus. For once, a Spooky Tooth album had divided the critics’ opinion. However, record buyers were of one mind. On the release of You Broke My Heart So I Busted Your Jaw, in November 1973, the album reached number eighty-four in the US Billboard 200. This matched the popularity of The Last Puff. Spooky Tooth were back to where they were before Ceremony. What could go wrong? After making their comeback with You Broke My Heart So I Busted Your Jaw, Spooky Tooth looked as if their career was back on track. Then there was a change in Spooky Tooth’s lineup. This time, Spooky Tooth’s original drummer Mike Kellie made a comeback, and replaced recent recruit Bryson Graham. However, that wasn’t the end of Bryson Graham. He played on some of the tracks on Witness. It was a tale of two drummers. One thing didn’t change, Gary Wright wrote most of Witness. He penned six of the nine tracks, and cowrote the other three tracks with members of Spooky Tooth. Considering the other members weren’t regarded as songwriters, they were proving a reliable source of songs. Gary Wright and Chris Stewart penned Don’t Ever Stray Away. Mick Jones collaborated with Chris Wright on All Sewn Up. Drummer Mike Kellie celebrated his return by cowriting Pyramids with Chris Stewart. It seemed the other members of Spooky Tooth had hidden talents. They also produced Witness, which was recorded at Olympic Studios and Island Studios, in London. At two of London’s premier studios, Spooky Tooth recorded their sixth studio album. Little did anyone realise, but this would be the last time one of the band set foot in a recording studio with Spooky Tooth. It was the end of an era. Sadly, with one of the band about to call time on their career with Spooky Tooth, the reviews of Witness were mixed. Not for the first time, a Spooky Tooth album divided opinion. Some critics enjoyed Witness mixture of hard rock, blues rock, progressive rock and psychedelia. Others felt the sound was dated. Record buyers had the deciding vote. They too were undecided. When Witness was released in November 1973, it stalled at ninety-nine in the US Billboard 200. Witness hadn’t matched the commercial success of You Broke My Heart So I Busted Your Jaw. That was disappointing. However, it wasn’t as disappointing as losing one of the band’s most important figures. Mike Harrison, who founded The V.I.P.s ten years previously, called time on the band he cofounded with Greg Ridley. The group’s cofounder wanted to pursue other projects. Another departure was bassist Chris Stewart. While he was a loss, his departure didn’t leave the void that Mike Harrison’s left. It was a case of the King is dead, long live the King. By 1974, music was changing, and changing fast. Progressive rock was one of the most popular genres. It was the most cerebral type of rock music. Glam rock however, was all style and no substance. Then there was Art Rock, which groups like Roxy Music pioneered. Heavy rock was still popular, with Led Zeppelin and Bad Company two of it’s finest purveyors. Spooky Tooth had previously aligned themselves with hard rock. Now they decided to change direction. With Spooky Tooth changing direction, a new member joined the band. Val Burke had featured on Witness, but on Mirror became a permanent member. Again, Mike Kellie and Bryson Graham both featured on Witness. Drummer, percussionist and keyboardist Mike Patto, was another new addition. 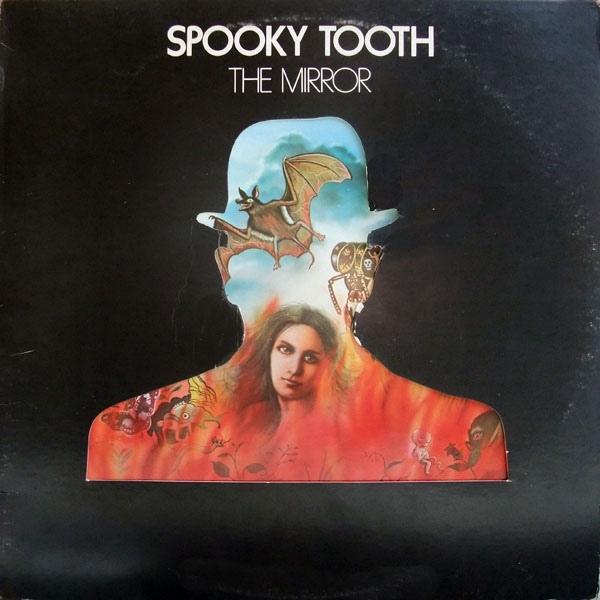 It was a very different version of Spooky Tooth that began work on The Mirror. Gary Wright wrote just two songs and cowrote the other seven songs. The other members of the band seemed to want to contribute to The Mirror. Mick Jones cowrote Fantasy Satisfier with Gary Wright. They cowrote Two Time Love and The Mirror with Mike Patto. He joined Gary Wright in penning The Hoofer. Along with Kyle and I’m Alive, which Gary Wright cowrote, these nine songs became The Mirror. When recording of The Mirror began, Gary Wright, Eddie Kramer and Mick Jones were co-producing the album. It quickly became apparent to onlookers, that Spooky Tooth had changed direction. Gospel, pop and R&B combined with rock on The Mirror. Once it was complete, Island Records announced The Mirror would be released in October 1974. Before then, critics had their say on The Mirror. Most were impressed by the new Spooky Tooth. Some weren’t convinced. The new lineup of Spooky Tooth was a shadow of its vainglorious self. Cynics suggested that Spooky Tooth had dumbed down their sound in the hope of commercial success. If that was the case, it backfired on Spooky Tooth. When The Mirror was released in October 1974, it only reached 130 in the US Billboard 200. It became Spooky Tooth’s least successful album. However, there was a twist in the tale. A month after the release of The Mirror, Spooky Tooth announced they were splitting up. 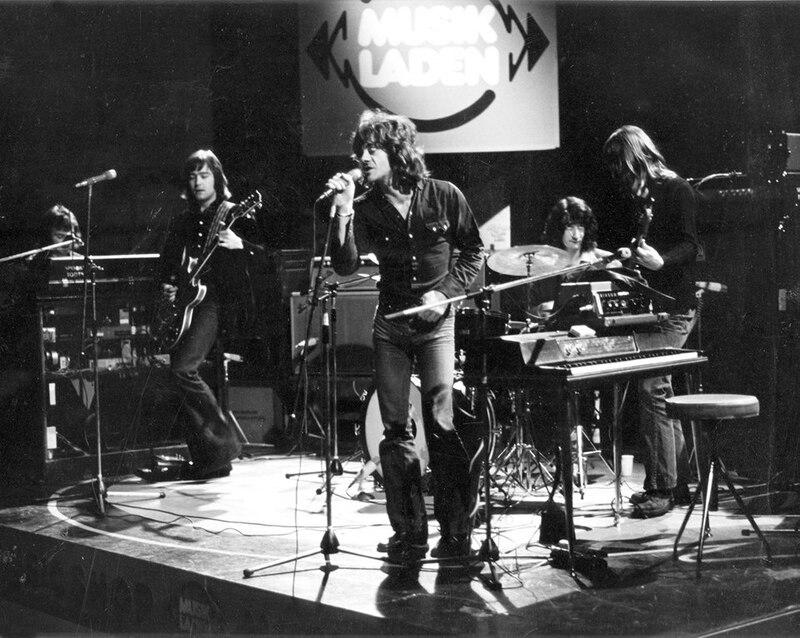 The members of Spooky Tooth joined other bands, or embarked upon new projects. Some critics said it was the end of an era. In reality, the departure of Mike Harrison marked the end of an era. He had founded The V.I.P.s with Greg Ridley in Carlisle, in 1963. The V.I.P.s became Art, and then Art became Spooky Tooth. However, Spooky Tooth without Mike Harrison was gin without the tonic. He was part and parcel of the band’s sound, and been a vital cog in the Spooky Tooth Wheel. Without him, the band limped on, and a year later, literally fell apart. That was the end of Spooky Tooth until 1999, when they reformed and released Cross Purpose. Mike Harrison was back at the helm. Gary Wright wasn’t part of the newly reformed Spooky Tooth. Making a comeback in the Spooky Tooth story was Island Records founder, Chris Blackwell. He produced Cross Purpose, which proved to be Spooky Tooth’s last studio album. Spooky Tooth went on to released two live albums. The first was Live In Europe in 2001. Another six years passed before Nomad Poets-Live In Germany 2004 was released in 2007. By then, Spooky Tooth were enjoying a resurgence in popularity. It was too little too late for a group who musical history should remember as pioneers and innovators. It was Spooky Tooth who pioneered the use of twin keyboards in their music. This was something that many other groups went on to adopt later, and contributed to the commercial success and critical acclaim they enjoyed. Spooky Tooth were also one of the few rock bands to use two vocalists. While this had ben tried in other genres, very few rock bands used two vocalists. That was until Spooky Tooth, who embraced also innovation. 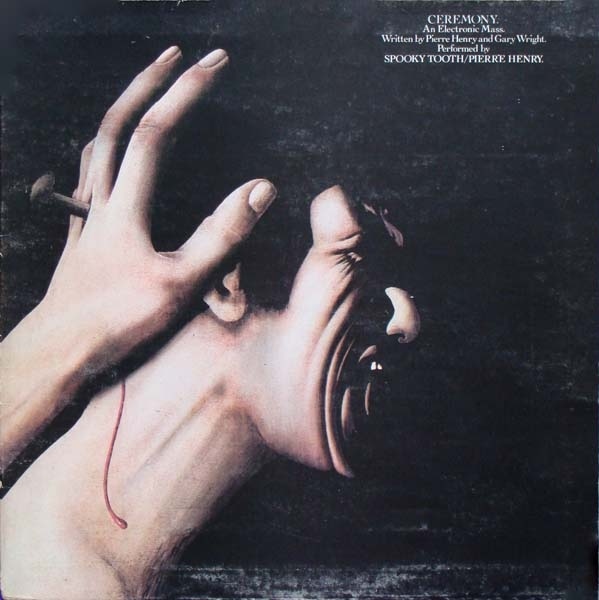 Probably Spooky Tooth’s most ambitious and controversal album who collaborated on the album Ceremony with French electronic musician, Pierre Henry. However, b then, Spooky Tooth had already been combining disparate musical genres on their albums. Elements of blues and blues-rock to hard rock, psychedelia and rock featured on Spooky Tooth’s albums. This ensured that their music stayed relevant during what was a golden age for rock music. During this period competition was fierce. Many of the top rock bands came from Britain, including Bad Company, Black Sabbath, Deep Purple and Led Zeppelin. They were among the hardest rocking bands of the late-sixties and early-seventies. This meant they were rivals of Spooky Tooth. However, Bad Company, Black Sabbath, Deep Purple and Led Zeppelin enjoyed far more commercial success and critical acclaim than Spooky Tooth. That’s despite the quality of music Spooky Tooth released. Looking back, Spooky Tooth never quite fulfilled their potential. This wasn’t helped by changes in lineup and breakups. Despite this, Spooky Tooth still managed to make some of the best, and most memorable rock music of the late-sixties and early-seventies. This music could’ve and should’ve enjoyed much more commercial success and critical acclaim. Even one of the members of Spooky Tooth realised this. Mike Kellie realised that things would’ve been different if Spooky Tooth: “had independent management” throughout their career. Maybe, with the right manager guiding their career, Spooky Tooth would’ve enjoyed a settled lineup; and The Island Records Years would’ve lasted longer than seven years and seven studio albums; and that Spooky Tooth would be receiving the credit they deserve. ← LITTLE FEAT-THE LOWELL GEORGE YEARS.